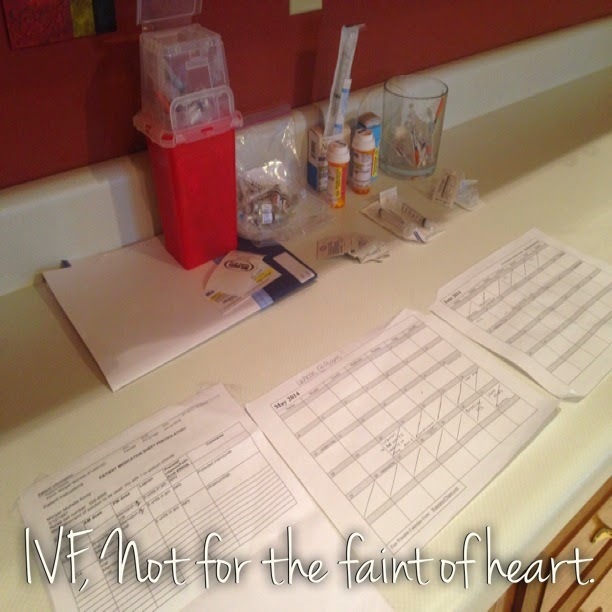 I promised a post earlier this week to give an update on what’s been going on with our IVF run. If you are just joining in on our journey start with these posts first! Well, it seems as if my body just isn’t cooperating. At all. 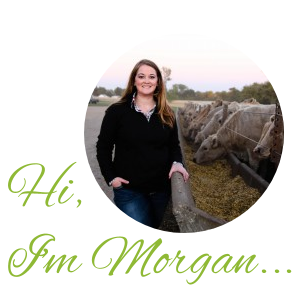 I left off with being the crabbiest person in our house, and I still am, but I can finally, finally see the light at the end of the tunnel- and so can my farmer, which he is ever so thankful for. For the last month I have gone to the doctor every Wednesday to have an ultrasound and blood drawn. 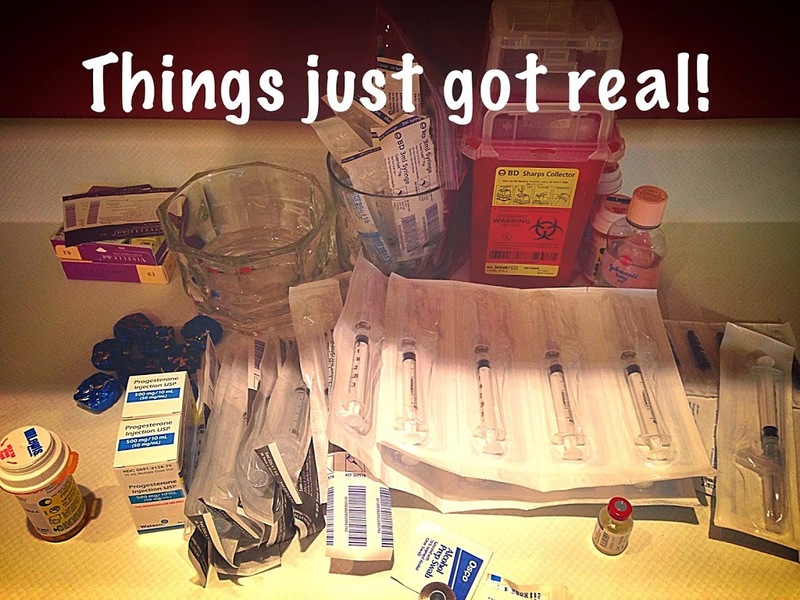 The blood test to see where my estrogen levels are (which is really, really, really high!) and the ultrasound to see how thick my uterine lining is. Essentially, I take this shot every day that keeps my body in menopause, which I have told you before. It’s basically keeping me from ovulating completely. And then I am adding all these female hormones to make my body also think it’s pregnant. When you are pregnant your uterine lining gets thicker, so that is what we have been waiting for all this time. It has taken me longer than the doctor expected for my uterine lining to thicken up. Which isn’t common- but hey, we have established in our family I don’t like to do things the expected way! And, the really hard part was they cut all caffeine out of my diet. If any of you know me personally you know how much I love Coke. Seriously love. And I partially blame Elliette because when I was pregnant with her that was the only thing that kept me from getting sick. And the habit kind of stuck with me. And needless to say migraines have now been added to my crabbiness. Which you can imagine. However, I have decided that I have a problem. But, I already knew that and knowingly admit it. But, I am starting to feel better and I am seriously considering giving up caffeine indefinitely. Considering, no promises! I am going to allow myself a little bit of privacy and not tell you what day the transfer will be. I hope you don’t mind! Yes, that is a pile of chocolate…I am trying to hide it from Ellie…It didn’t work. Which is a really, really wonderful feeling. The last few weeks our church has been studying the book of James. A Christian’s “How-To” book. I have read the book before and have been taught it’s lessons throughout my life. But, the last few weeks when I wanted to completely be very un-Christian like it has really helped me to get back to the basics. This process has been hard, not just on me, but nearly everyone in our lives. There have been times I have wanted to go into my bedroom kicking and screaming and I have found myself crying and screaming in frustration. But, it has shown me now, more than ever, how important it is to put God’s desires at the center of our lives and to keep him in focus through our planning. And every trip to the doctor. More than ever I have learned the last six months that instead of praying for God to take the troubles away, I instead pray for what he wants me to learn. Trials teach us perseverance. It is easy to be a Christian when your life is going well, but it’s even harder to trust in him when things are going horribly wrong, or just not the way you planned. I have gotten so many messages and emails from many of my blog followers struggling with the same battle that I am. And please know that I list each of you in my prayers and will continue to pray for you and the desires of your heart. Wow! I am just catching up with all of your news. Sending good thoughts and prayers that God wants you to learn how to be a momma to TWO children. Good luck! Sending lots of good luck, baby dust and sticky vibes your way. From a formerly infertile mother of 3 – for whom lightning struck more than once (7 pregnancies, 3 babies).